Poetry is the perfect medium to capture the elusive nature of happiness and this beautiful anthology explores happiness in all its forms – whether it be a fleeting moment, the promise of freedom and adventure, surviving adversity or the comfort of nature. Part of the Macmillan Collector’s Library, a series of stunning, clothbound, pocket-sized classics with gold-foiled edges and ribbon markers. These beautiful books make perfect gifts or a treat for any book lover. 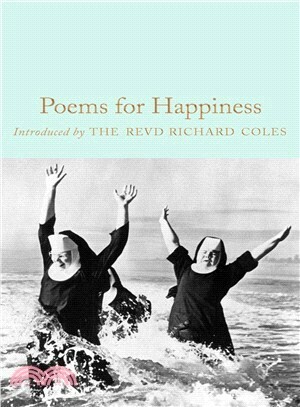 Poems for Happiness features an introduction by writer, broadcaster and parish priest, the Reverend Richard Coles. This inspiring and life-affirming collection features writing by some of our greatest poets whose work is still widely read today. It includes famous poems such as ‘How Do I Love Thee?’ by Elizabeth Barrett Browning, ‘If’ by Rudyard Kipling, ‘My Heart Leaps Up’ by William Wordsworth and ‘Invictus’ by W. E. Henley. In addition to these well-known verses, this beautiful volume includes lesser-known poems to discover and enjoy.